Hello, all there, did you unexpectedly delete precious camera or phone SD memory card photos and videos permanently? Did you quick format PC external hard drive or USB drive to lose all games, apps, files and folders? Or did you shift delete important information or empty Recycle Bin to lose desired pictures, music and files? Really need to recover deleted or lost data from memory card, hard drive or flash drive? No worry! Fortunately, iCare Recovery has released a completely free data recovery utility, iCare Data Recovery Free, which helps recover unlimited data from external hard disks, SD or Micro SD memory cards, pen drives and the like storage devices completely for free, not just like the previous free version that only allows users to retrieve 1GB of lost data for free. Support all popular hard disk, SSD, USB drive, SD, Micro SD and CF memory card. Does not work under Mac operating system computers. 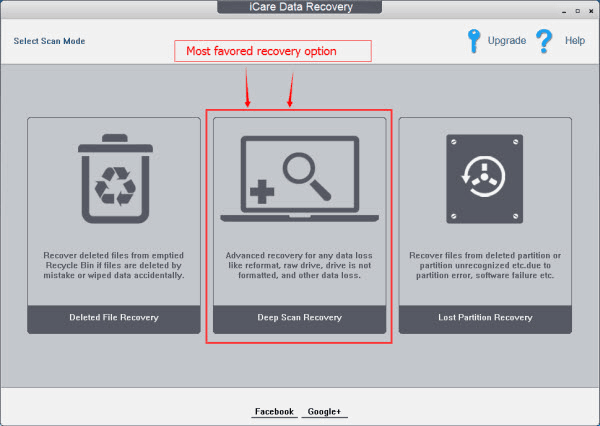 iCare Data Recovery Free, as a home user version, is an easy-to-use and powerful data recovery program that offers two well-designed data recovery modes: Deleted File Recovery and Advanced File Recovery modes. The Deleted File Recovery modes often helps copy with different deleted file loss troubles, including recovering deleted or shift deleted files and folders from emptied Bin, SD, CF or TF memory cards, USB portable hard drives and more storage devices or retrieving files deleted or erased by mistake or accident. And the Advanced File Recovery modes always help cope with nearly all data loss troubles caused by accidental format, delete, reformat, RAW file system error, not formatted error, CHKDSK RAW drive error, virus attack or computer corruption, or hard drive corruption, etc. Overall, with this 100% free version, you are often able to rescue deleted or lost data back in most data loss situations for free. Even though the iCare Data Recovery Pro and iCare Data Recovery Free are both data recovery apps that help people take lost, deleted, inaccessible or invisible data from external HD, SSD, flash drive and memory card, they are also different. 1- Recover different amount of lost data for free. As we’ve mentioned above, with the iCare free version, you can get lost data back completely for free and there is also no limitation any longer about how much data you do have to rescue. And, with the iCare Data Recovery Pro version, in order to let people do a free evaluation before any purchase, people often can download the trial version firstly to recover 20MB of lost data for free to see whether this paid version is workable for their data loss cases. 2- Offer different data recovery modes. 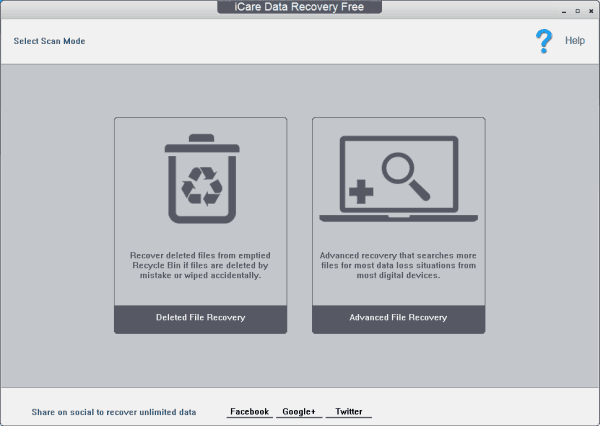 The iCare free version offers Deleted File Recovery and Advanced File Recovery modes only to help cope with most of the common data loss troubles in daily use.The iCare Data Recovery Pro versions offers Deleted File Recovery, Lost Partition Recovery and Deep Scan Recovery modes to cope with almost all data loss troubles, especially some data loss cases related to unrecognizable, deleted or unformatted partitions, etc. The iCare free version is completely free for everyone. The iCare Data Recovery Pro often needs to be paid for a complete data recovery. 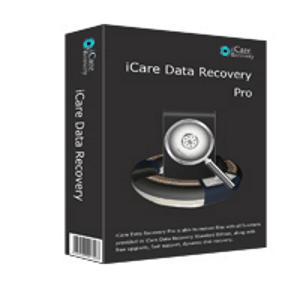 The iCare Data Recovery Pro version offers far more features for people to process more data loss problems. For example, the Lost Partition Recovery mode is especially designed for people to recover deleted or lost information from computer internal or external hard drive partitions after accidental delete or format. When your PC hard drive partitions are undetectable or not initialized or unallocated there, this partition recovery mode often also helps recover partition contents back. Deep Scan Recovery modes, as its name indicates, always help scan your allocated hard drive from one sector to another thoroughly and recover all possible files back as many as possible. With this mode, even the files that had been deleted or lost for a really long time are able to be found out and retrieved back before these original files are rewritten completely by news files. Overall, just select the iCare Data Recovery Pro or iCare Data Recovery Free according to your own conditions.